Long overdue post about Iron Cross. Thank you for reading! 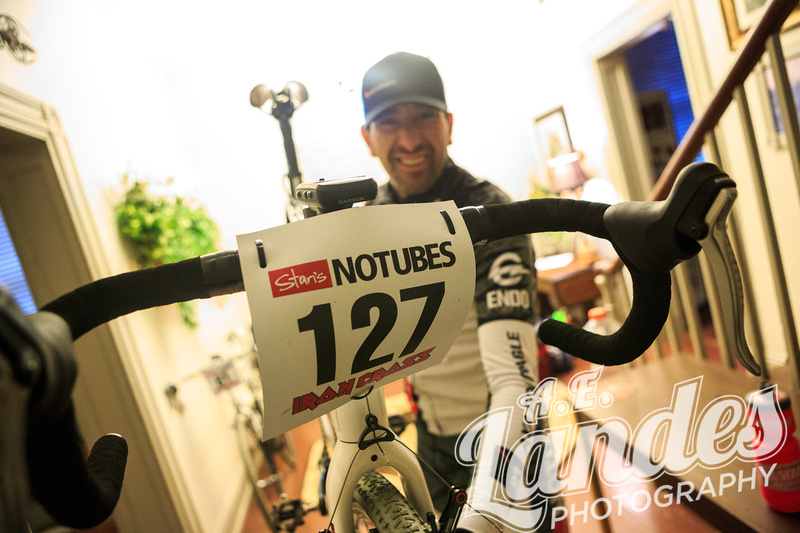 Iron Cross is 62 miles of fire roads, singletrack , pavement and a steep ‘hike a bike.’ Sounds good (or crazy) right?! 2006 was my first attempt—one of the toughest things I’ve ever done. I rolled across the line. Exhausted. And in a mediocre 12th place. I gave it all I had that day. In fact, I may have burned a year off my life too. Scorned, I swore never to return. Skip ahead to 2012 and the 10th anniversary of Iron Cross. I’m back (glutton for punishment) and I’m bringing a single speed as added penance. 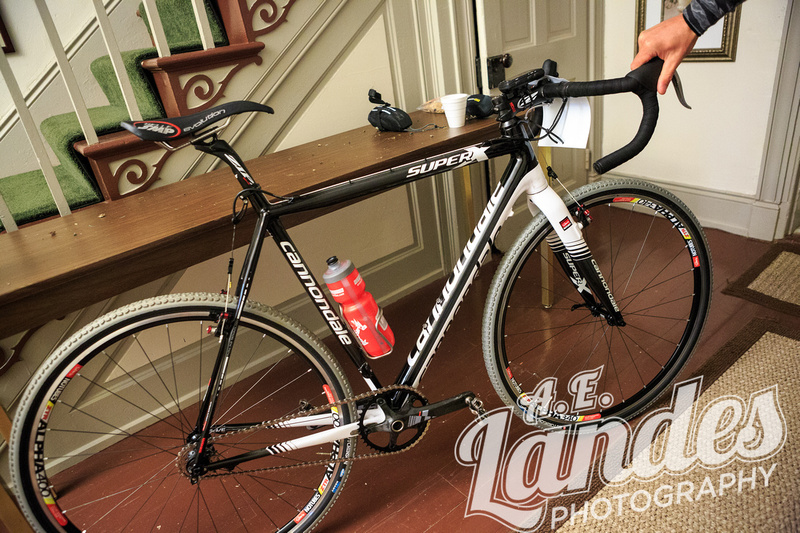 She’s a beauty: Cannondale SuperX w/ Stan’s NoTubes sneakers and SRAM/ZIPP bits. Gearing choice 42×20. Spin fast…and suffer at the start. Hang on. Wicked tire puncture (Stan’s spews like I stabbed a milk carton AND it works but only holds 20psi). Begin long forced tire repair. Ten plus minutes lost. Chase and suffer. Miss turn (Totally my fault.) Lose 13+ more minutes. Stop at SRAM trying to fix previous mechanical. Another lost minute. Spin, spin…and suffer more. Aid station #3. Hang out. Eat lots of food. Enjoy some rap music. Socialize, chew and hydrate for many more minutes. Good times. Off I go. Suffer and suffer more. Finish—fourth place singlespeed. Finish time = 4:31…with an extra five miles on the odometer. Upon review of the Garmin data: I lost 25+ minutes due to my issues (not including the brief stop at Aid #2)…AND I’M TOTALLY STOKED! How could I be happy after all of that? Was it the fourth place? Nope. I certainly was not happy about my misfortunes…much of which was within my control. So what made my day so great? Due to the day’s circumstances, I pedaled past a many of friendly foes* (sometimes twice). Not one person impeded my progress. Many gave their line; I would thank them, encourage them to hang in there, and pedal on. Some even stopped to make sure I was okay: offering parts, offering wheels, offering a draft—always with something positive to say. Post-race, the vibe was also positive and strong. Beverage flowed, food was consumed and the race stories perfumed the air. The atmosphere lasted for hours and added to the greatness of the day. These are things I’m still trying to get used to. Coming from a primarily road racing background, it was customary to fight for any and all positions. Forget trying to be friendly. We fought for parking, start position, race position, finish position, post-race food…and recovery was done as fast as possible. Neverending. I was once told that racing isn’t meant to be friendly…that I would win more if I would stop being nice. Don’t get me wrong; I do value a race result and have been blessed with many that are meaningful in my 22 years of racing: National Champs stuff in road, mountain bike, and track; a Top 10 at USPRO Criterium; along with some fine mountain bike and cyclocross wins. But you know what? None of them will have the same value as the camaraderie I experienced during Iron Cross. A part of my cycling soul was baptized that day. *Friendly foes include (but are not limited to): Bob C., Dave P., Jamie H., Darrin M., Matt S., Sandie R.., Selene Y., my fellow single speeders, and the group of amazing dudes that flew me along the road section after Lippencote to Aid#3. I raise my glass to all of you! Mike Kuhn & Zach Adams (and all of the volunteers) for bringing us together.